I want to start off by saying that my rating of this book does not, by any means, mean that I didn’t enjoy it as much as the books I’ve read over the past few weeks. I’ve thought long and hard about how I was going to go about reviewing this book, because I both loved and was disappointed by it for different reasons. The story has an incredibly interesting premise and I was immediately drawn to the description when I came across it on Netgalley. I knew enough about the novel from glancing at other reviews to know that it wasn’t going to be a happy-go-lucky kind of novel, but that’s absolutely fine with me- the more tragic the better, I’d say. We are introduced to Elizabeth, the protagonist of the novel, whose husband, Michael, has drowned whilst trying to save a young girl, Kate. The story focuses on Elizabeth and Michael’s relationship before and after the tragic events have unfolded, but it is a lot more than that as well. It focuses on family and the strong ties that lie within family bases. 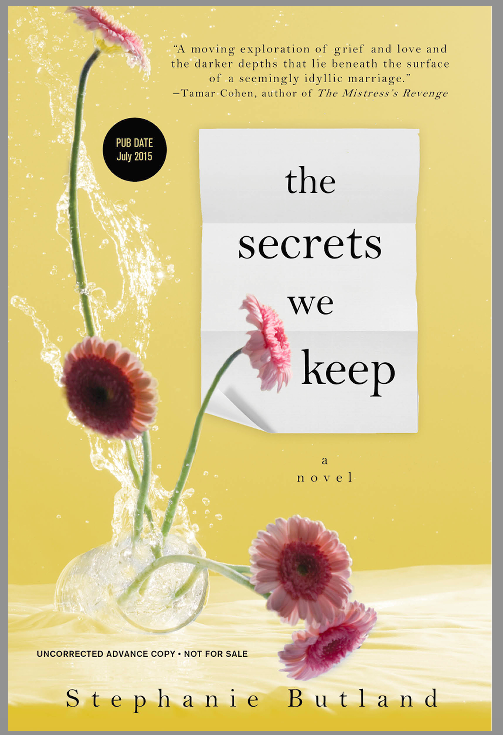 It focuses on secrets and betrayal and how, more often than not, there is more to someone than meets the eye. The story addresses loss, longing and the realisation that sometimes you have to just give up and move on with your life. I enjoyed the prose, I enjoyed the writing style and I loved the characters. I loved to hate certain characters, while others I adored from the start. All of the characters were believable. I found it gut-wrenching and heartbreaking in some places, and ironic and cruel in others. Elizabeth’s grief is explored in such a way I have never read before and it was tormentingly beautiful to read. I enjoyed how her grief turned, through letters, from heartbreaking to bitter to doubtful and then to pure resentment and anger, before returning back to the beautiful heartbreaking full of grief letter that had dominated the first two-thirds of the book. Often the word “unputdownable” is used to describe books and there is not a word more suited to this book than that one. I have recently gotten out of my habit of staying up late to finish books, but I broke that trying to finish this one. It had me guessing to the very end, and unfortunately that’s where the disappointment kicks in a little bit. This is where I have difficulties in describing my thoughts, because I genuinely enjoyed the book. I even enjoyed the ending, to some extent. I just expected something massive to happen and that “something massive”, that twist that would have changed everything, just didn’t come, at least not in the way I hoped it would. In spite of this, I would recommend the book to friends and have thoroughly enjoyed reading it.